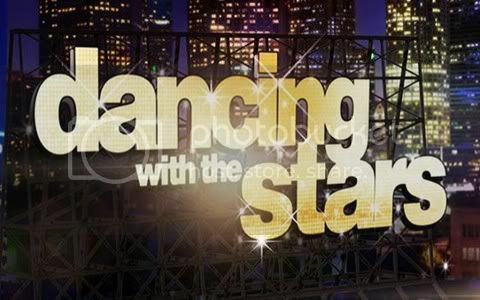 Quick Take: Dancing With the Stars 14 "Week 3 Results"
Review: Dancing With the Stars 14 "Week 3 Results"
(S1406) This week's Dancing With the Stars results show kicked off with Seal singing his cover of the classic song, "Lean On Me." Also performing this week was the country band Rascal Flatts who after their performance showed their support for Gavin Degraw by calling out to him. Two result show staples returned this week, the AT&T Spotlight Dance and the Macy's Stars of Dance. In the AT&T Spotlight Dance Anna Trebunskaya and her husband Jonathan Roberts danced a beautiful and moving waltz in honor of their friend and fellow dancer Julia Ivleva who is battling stage 4 lung cancer. And in the Macy's Stars of Dance it was a guy-dominated high energy routine. As for the eliminations... Can I just say that Sherri is getting more annoying each week? When Brooke announced that she was saved she acted like she had just won the Mirror Ball Trophy. Seriously, she needs to calm down. She started whipping her hair back and forth. She should save that for next week when the theme is Rock Week. Gavin and Karina were once again in the bottom two this week along with Jack and Anna. While Len had declared on Monday night that Jack's samba was his best dance thus far it wasn't enough to save him from elimination. As Martina last week, he handled it well and wished the remaining competitors good luck. And while Len's wish of forgoing an elimination on Tuesday night fell on deaf ears, the producers have decided to add a new twist to the results shows, the dancing duel - where the bottom two couples will have to dance simultaneously for the judges in a last ditch effort to be saved. I wonder what took them so long to add this element to the show.